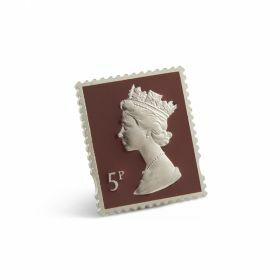 Handmade by craftsmen, this silverplated pin badge is a fantastic official souvenir from Royal Mail, capturing a great era in British stamp history. Presented in a black souvenir case. Not shown at actual size.